'Wabi inspirations' was made in collaboration with Japanese architect Tatsuro Miki, with whom Vervoordt has not only studied Wabi but also brought the concept alive when working together, Miki as an architect and Vervoordt as an interior designer. From the book: The former liquor distillery built in 1857 in Antwerp now serves as headquarters of the Axel Vervoordt Company. Image courtesy of Laziz Hamani. 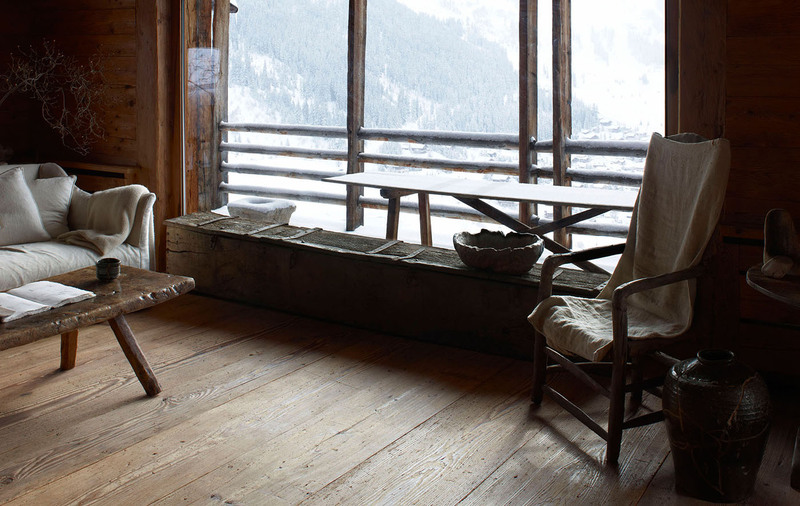 From the book: This cozy ski chalet is located high in the Swiss Alps. Photo courtesy of Laziz Hamani. 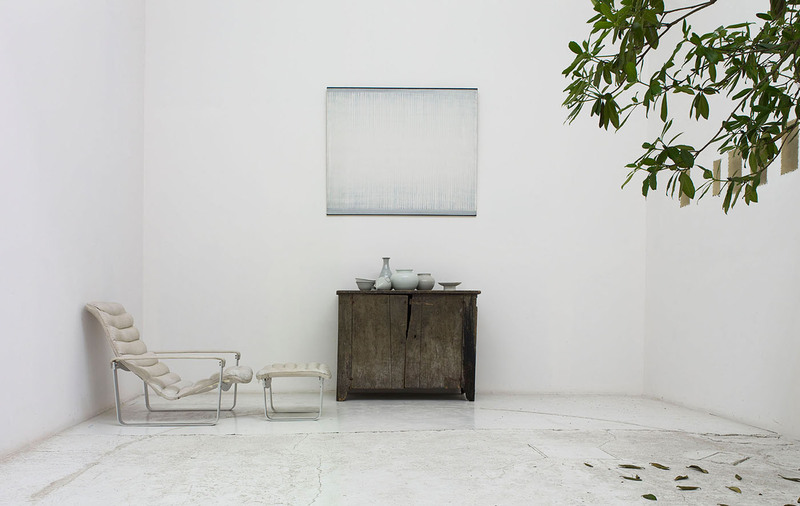 Belgian art & antiques dealer and interior designer Axel Vervoordt was one of the first names that came up when I started investigating wabi-sabi. Vervoordt has borrowed the term Wabi from Japanese and created his own personal concept around it. “Elegance in natural materials, nobility without sophistication and timelessness within tradition” are the principles of Vervoordt's Wabi interiors. Reading the book it is clear the designer has a deep understanding on some kind of zen spirit, living in the moment and appreciating all aspects of nature and life. It feels nurturing. The book reveals fourteen of Vervoordt’s interior design projects that are inspired by Wabi with text introductions by Michael Paul and photographs by Laziz Hamani. As silly as it may sound, what I most love about this book is that the spaces and details in the photographs are so unique that there is nothing you can copy in your home. I feel this allows me to focus on the spirit of the designs more fully. Like in a museum standing in front of a great painting. It is not for sale. There is nothing physical there you could own or buy. You are not even allowed to take photos. So you just relax and focus on appreciating the piece of art and the brilliant creature that made it. Wabi inspirations includes no Wabi how-tos. 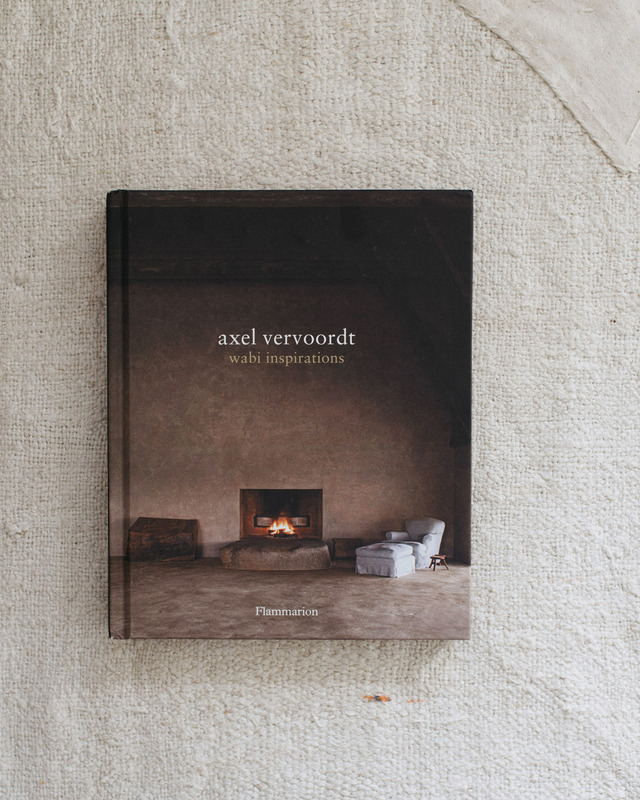 Instead, it reveals the thinking behind Vervoordt’s beautiful interiors. After reading it, if you liked it, you may find yourself clearing your space a bit, simplifying, getting rid of something pompous to bring attentions to something humble. Perhaps you will see many things in a brighter light. Mend something that has been broken for a long time. Find beauty in what you formerly considered ugly. Perhaps.